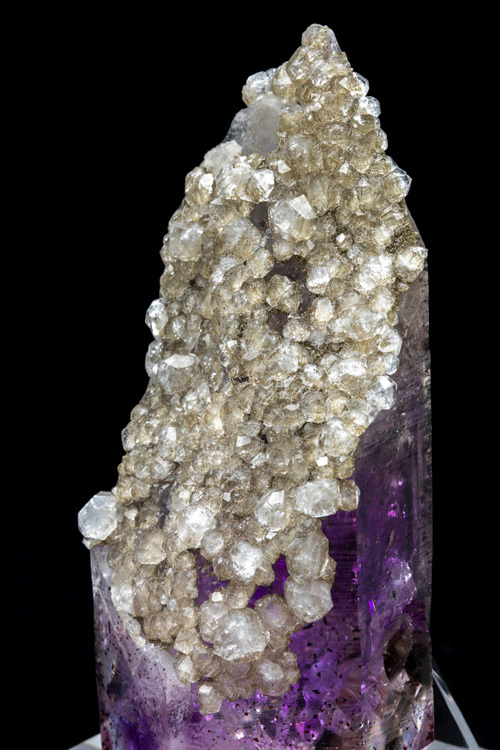 Here is an unusual amethyst specimen which has been mounted in an unusual way: upside down. 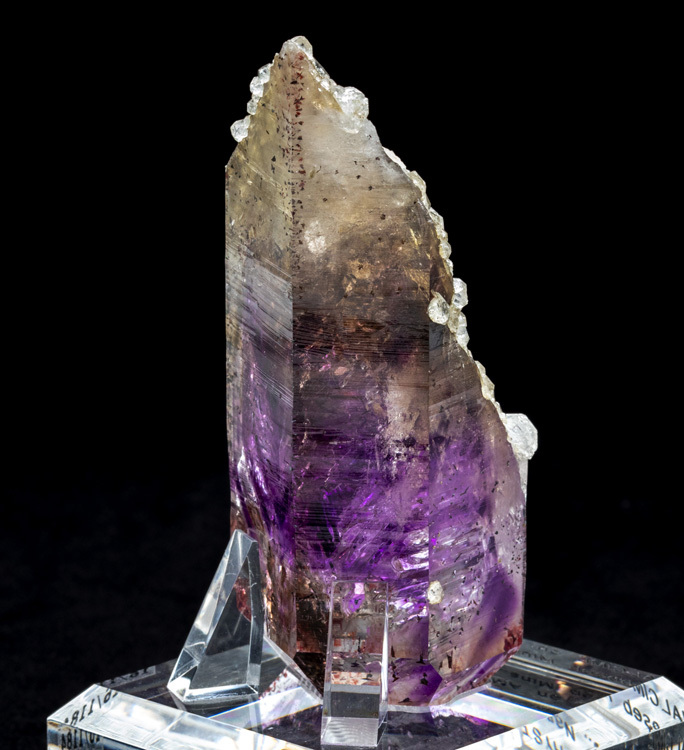 With the termination up like any normal amethyst crystal this is actually an exceptional example with perfect, glassy faces, and a lots in internal air cavities. 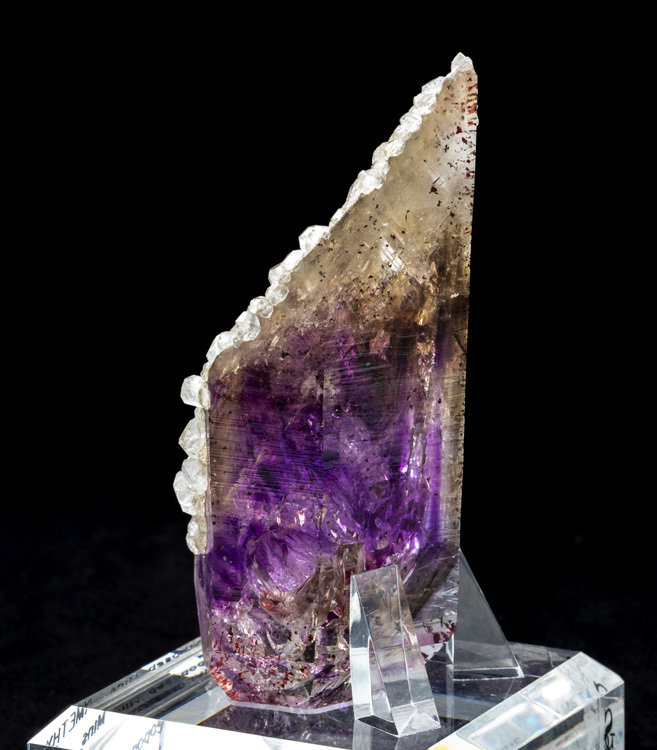 But the reason it's mounted upside down is because this isn't just another great amethyst point. 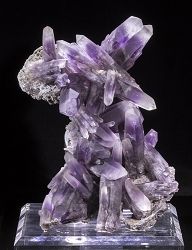 What makes it special is that the bottom/backside of the crystal is completely covered with glassy Analcime crystals, and this tells a story about the life of this specimen. 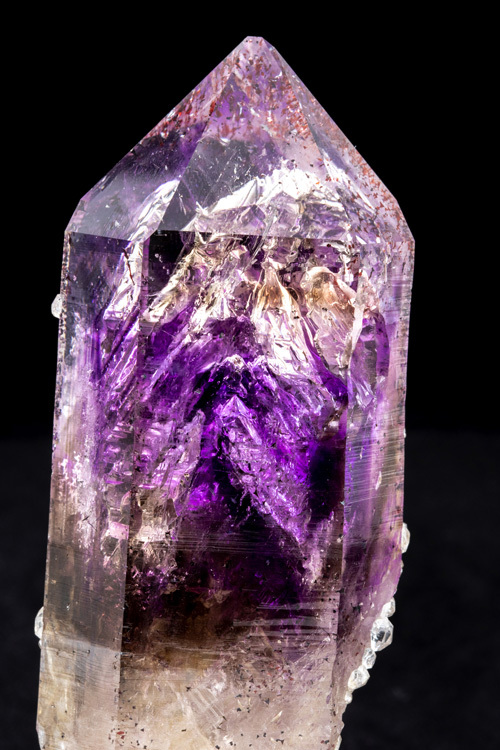 At some point in its life the amethyst crystal broke off of its host and became covered up in such a perfect way that only the broken contact area was exposed. 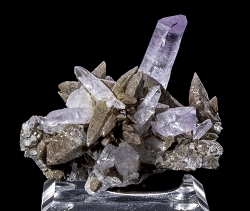 It's on this exposed area that the Analcime crystals grew. 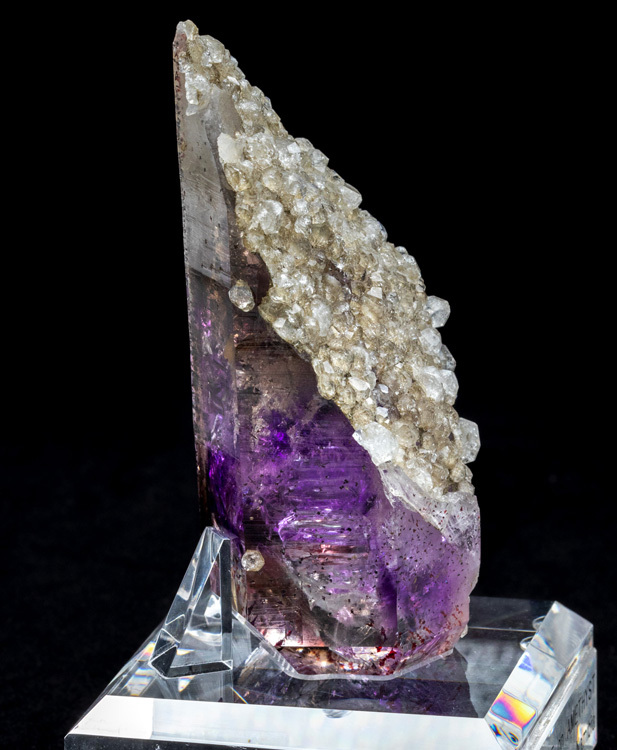 There are other Namibian amethyst points with an occasional analcime crystal growing on it, but never have we ever seen anything like this. 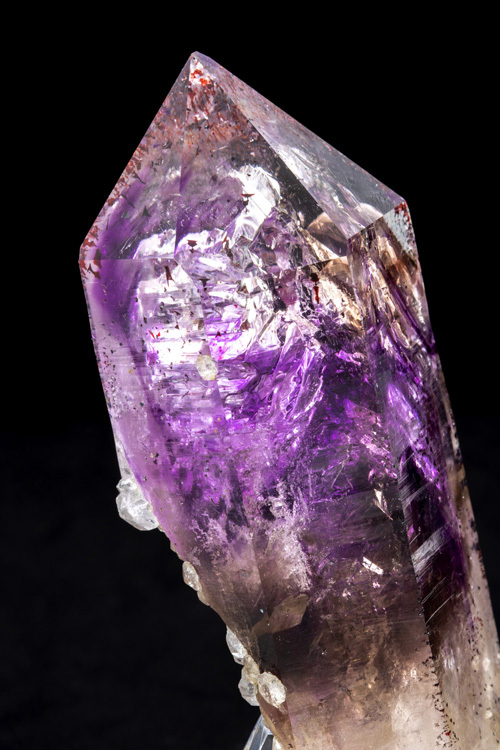 This specimen is a true exception and oddity. 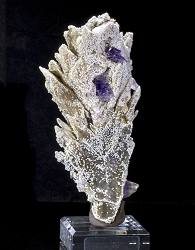 For collectors of Namibian mineral specimens this is an incredible piece! 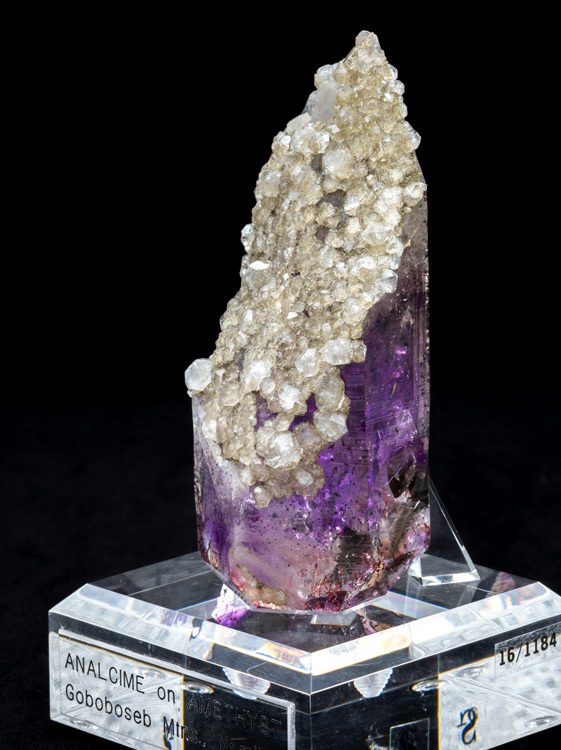 The condition is outstanding! 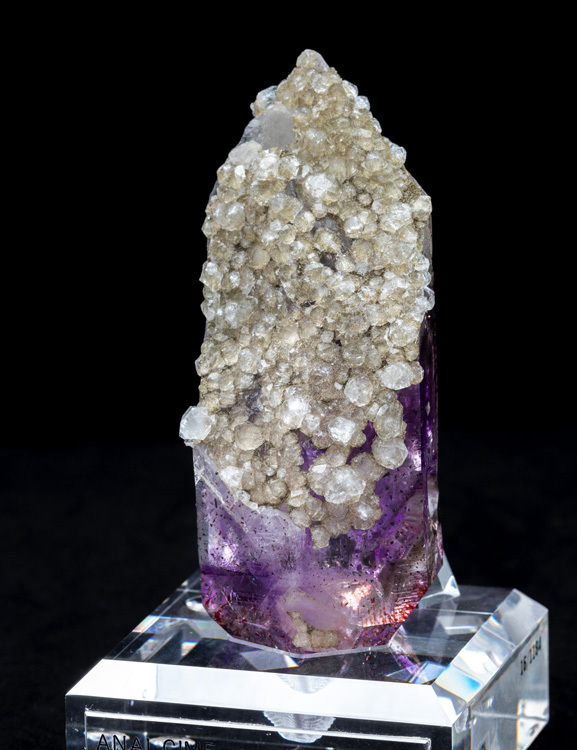 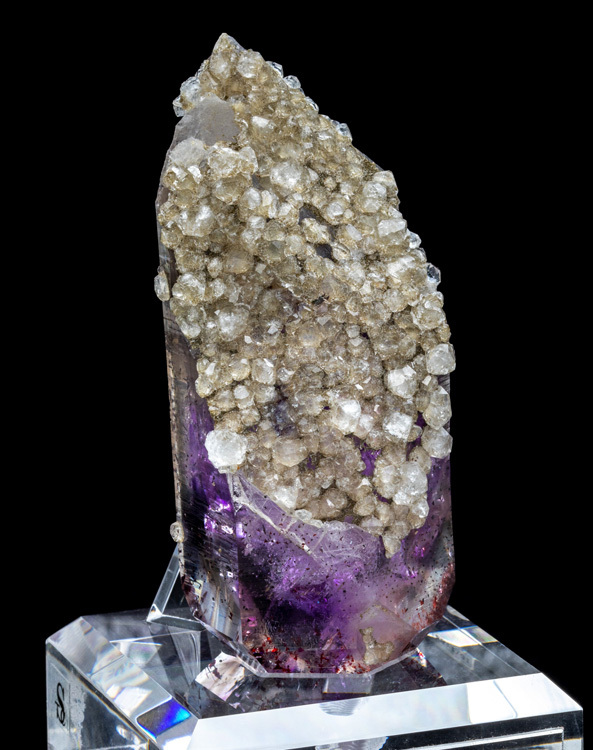 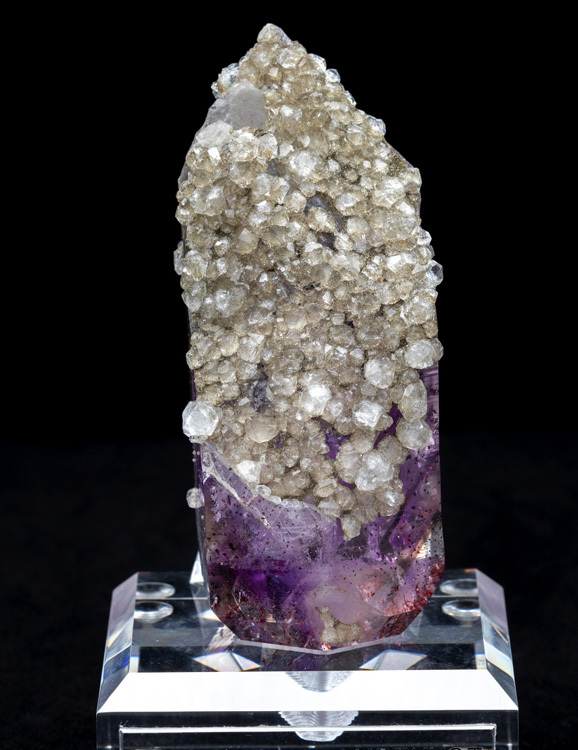 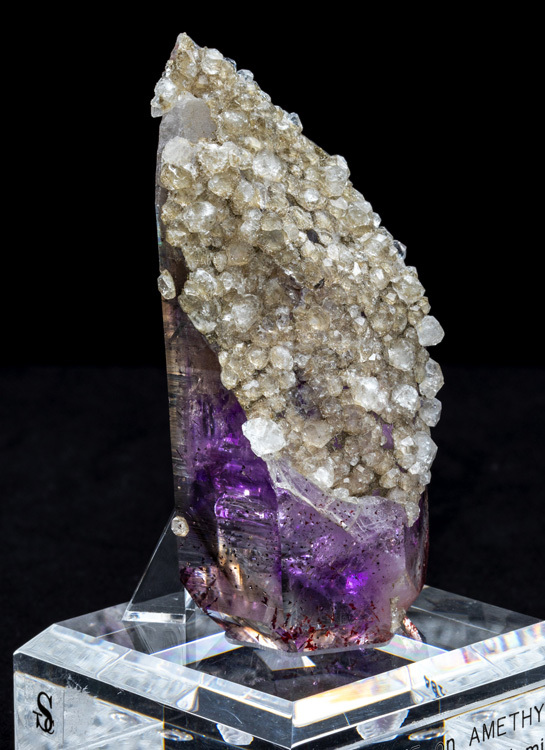 There is no damage visible to any of the analcime crystals, and the amethyst itself is big and lustrous. 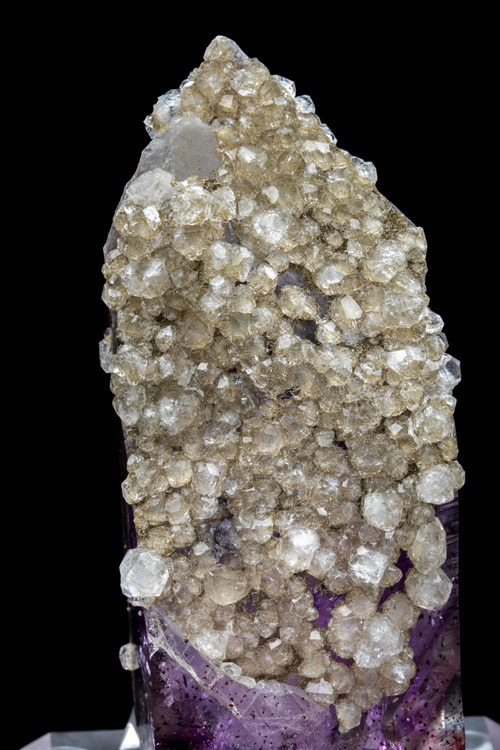 There are even small, red hematite inclusions in the tip.